SUSE technologies are helping Daimler AG, the German automotive behemoth, to migrate a large proportion of its mission-critical servers from proprietary UNIX operating systems to 'the open and flexible Linux platform'. Daimler AG joins a long list of companies and even cities that have joined the open source bandwagon. 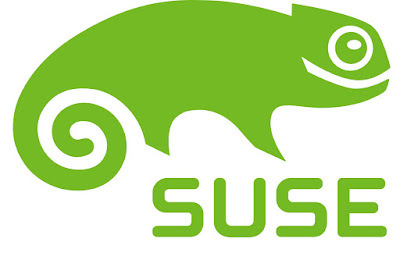 SUSE technologies, being one of the earliest providers of Enterprise Linux solutions, helped Daimler AG to migrate a large proportion of its mission-critical servers from proprietary systems to Linux platform, specifically to SUSE Linux. This is a major win for the proponents of enterprise level solutions based on Linux and open-source. Historically, Daimler AG used a number of proprietary UNIX distributions for the task. But managing multiple environments increased costs and required the company to maintain different skill sets to accomplish very similar tasks on different platforms. This is where SUSE technologies pitched in with their Linux Platform-as-a-Service (PaaS) solution based on SUSE Linux Enterprise Server. "A key target for the new project was to migrate away from UNIX on proprietary hardware towards Linux on commodity x86 servers. The objective was to standardize on SUSE Linux Enterprise Server as a single distribution of Linux wherever practical. The openness and ease of customization of SUSE Linux Enterprise Server, as well as its closeness to UNIX, made it the ideal starting point for this virtual platform concept." Initially, the company deployed SUSE Manager with 28 distributed SUSE Manager proxy servers for comprehensive Linux lifecycle management. As part of the migration process, SUSE Manager builds a tailored image with the requested packages and features. These operating system images may include SUSE Linux Enterprise Server subscriptions with 24x7 Priority Support, a disaster-recovery tool, the SUSE Manager client and SUSE Linux Enterprise Server for SAP Applications with the SUSE Linux Enterprise High Availability Extension. SUSE Linux Enterprise Server and SUSE Manager eventually helped Daimler AG to successfully migrate a large proportion of its mission-critical workloads from proprietary UNIX platforms to Linux. The company has cut the number of UNIX instances by 40 percent, as it moves crucial applications to SUSE Linux Enterprise Server. "The success of the transition to the SUSE platform is reflected in the growth of the company’s SUSE Linux Enterprise Server landscape. In the last few years, the number of Linux instances has increased by a factor of four. This considerable expansion demonstrates both the successful ongoing project to migrate UNIX applications to Linux and the organic growth in the company’s web applications where SUSE Linux Enterprise Server has become the preferred platform."